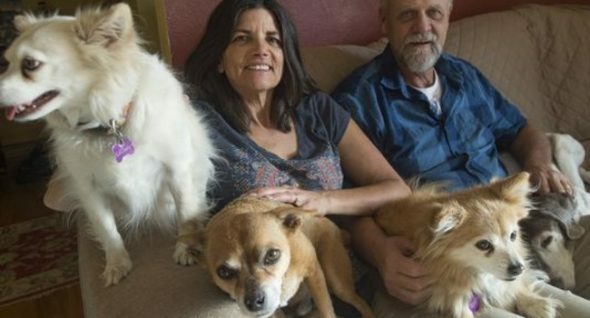 Out in Colorado, a little dog named Frodo is healing. Frodo belongs to 12-year-old Olivia Roush. 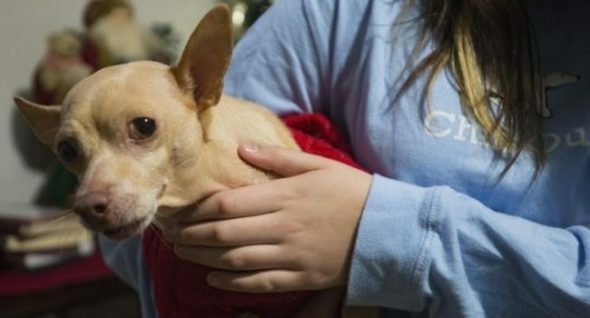 The 6-year-old Chihuahua is sleeping soundly, often amid her cuddles, thanks to the help of a good Samaritan, a total stranger. A few weeks ago, the family still doesn’t know it happened or who did it, the small dog was kicked in the mouth. They worried his jaw was broken. Olivia’s grandmother, Myra, promised to take Frodo to the vet while Olivia was at school. At City Park Animal Clinic in Fort Collins, Dr. Ashley Hill could barely get near his muzzle to diagnose the trouble. Frodo needed sedation. And early estimates put the bill somewhere around $1,000. Myra didn’t have it. She was heartbroken, unsure of what to do, not wanting to let her granddaughter — or Frodo — down. The clinic, sadly, does not accept payment in installments and Myra lives on disability. Frodo was being sent home with some donated medication, but that was all they could do. At the same time, Dianne Skogerboe there, waiting to pick up medication for her brood of animals. She overheard the woman say she was going to pay what she could and go and realized the dog hadn’t been properly seen. Skogerboe asked if she could help. She spent about $300 for Frodo’s sedation and the discovery and removal of an abscessed tooth. Frodo needs more teeth pulled and is awaiting treatment by a PetAid veterinarian. This Denver organization helps provide lower-cost care. But for now, he’s doing fine. Skogerboe is happy she was in the right place at the right time. On Floofer…On Pupper…On Doggie….On Woof! Most vets don’t give a crap. All they care about is money. Elder pet Care in fort Collins can help.